Steadfastness is applied by increasing numbers of Hue-Beings. 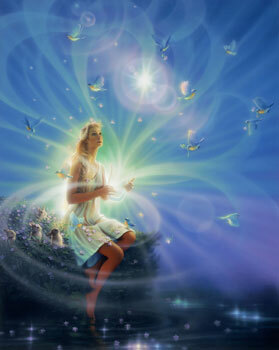 The Hue-Beings are continuing inner progress while awaiting bigger steps into New Earth, with the First Round of Ascension being completed, leading to Illuminations of those in the first round and other great Events we hope come SOON. Holographic manifestations from lower levels increase. Circumstances of dark or undesirable nature are caused by the beings (people) who experience them. Increasingly lower level personal vibrations (fear, negativity, hatred, etc.) are creating (manifesting) negativity in the lives of those who have such vibrations. I.e., the happier and more loving we feel, the more positive lives we manifest, and vice versa, in an increasing trend. The flash point of massive destructive Earth changes or Cabal controlled wide-spread wars, deaths or enslavements will not occur. No fear. See Gaia Portal 8/30/15. As we’ve awakened and changed, we’ve unfortunately no longer jived with some old friends and loved ones. Those relationships were either cut off or we drifted away from each other. Relationships that have been cut off are now rejoining. See also reference to “stemmed relations” in the paragraph on martinizations. We are dropping thoughts of worries, doubt, ill-will or even hatred, concern over what others think or say, and other negativities. Now we think with positive confidence of our plans and desires being already manifested. We watch less “news” and other shows from mainstream media (MSM), many of which are designed to inspire fears, worries, hatred, and division. We think lovingly of others, without divisions among us. These positive thoughts are of higher energetic frequency. Thus, there is more Light in us and Mother Earth. Martinizations flourish, as congruences are noted. There is a new use of the word “martinize”, referring to Trayvon Martin. This meaning makes sense in the above sentence, but it seems unlikely that it is intended meaning. Considering how Martin Luther split off from Catholicism to create Protestantism, I think of how we split off from societal norms and religions. This has certainly flourished, as the incongruences of societal beliefs and behaviors have been blatant. Now the congruences of the “new” behaviors, groups, philosophies, and spirituality are noted. In particular, Luther disagreed with placing popes and priests between people and God and Jesus. Modern spirituality is in agreement that we are all on one level in relation to the Source. There is no division. In fact, we are all one. Also note that split-offs from society can also be called “stemmed relations”. People that have turned away from traditions to further their higher levels of understanding are finding other individuals or groups with similar ideas. They are converging in ideas, while not forming new dogmas. As Kryon says, “It’s not your father’s New Age.” We don’t all believe or emphasize alike and it doesn’t matter. We love all, anyway, without division, learning to feel that we, all beings, are truly all one. Sumerian crypts are exhumed and cleared. This means that the ancient knowledge of our history is being exhumed, brought to us by our friends from such shows as Coast to Coast AM and History Channel, clearing away many of the lies we’ve been told by mass media and religions. This seems to indicate that, as I’ve mentioned earlier, massive Earth changes (like fire) to wipe Earth clean will not be needed. Ooo, could this be the open contact of our ET friends? Could it be our enlightenments, ascensions, illuminations? Both, I hope. Light pathways have been defined. This reminds me that Suspicious0bservers video of 9/24 tells of flares from the center of the Milky Way. The sun flares have pushed us toward ascension of Earth and all her beings and I expect the galactic Light will step that up. Wow! Is this the energetic Earth grid, which would now be Light pathways? Could it be on a more personal level? Sacred sights are noted and uplifted. Notice that it’s sights, not sites, as I’d first thought. Remember the Sacred Cities from earlier posts, Cities of Light and More on Agartha and the Cities of Light. People are seeing such sights as those cities, strange light phenomena, and higher beings. What exactly will this be like, Illuminations of people? Visible shining? Wow! If not me, I’ll be thrilled to see it in others.